When I first saw the exotic Giant Pelican flower or Brazilian Dutchman's Pipe (also known as Aristolochia gigantea), I was awed by the beauty and its weirdness. The vine looks delicate but can grow to heights. The leaves are heart-shaped, resembles the leaves of Tinospora cordifolia (Amruthaballi). I read that the flowers have a lemony fragrance; however, for me, the flower and the whole vine seemed weird. Joining Nature Footstep Memes. Please check out photos shared by other participants. Very attractive flower. any idea where we can buy this? Yes; had planned to write a follow-up article about the nursery. Will do so soon. Omg I have this all in my backyard and just recently i placed a picture on facebook asking if anyone knew what that thing was lol and now its an exotic flower. Wow good thing i didnt tear the vine off my fence. One small request, please get rid of the word verification. It is really a pain. The blogger option "Registered User - includes OpenID" can keep the spammers away. 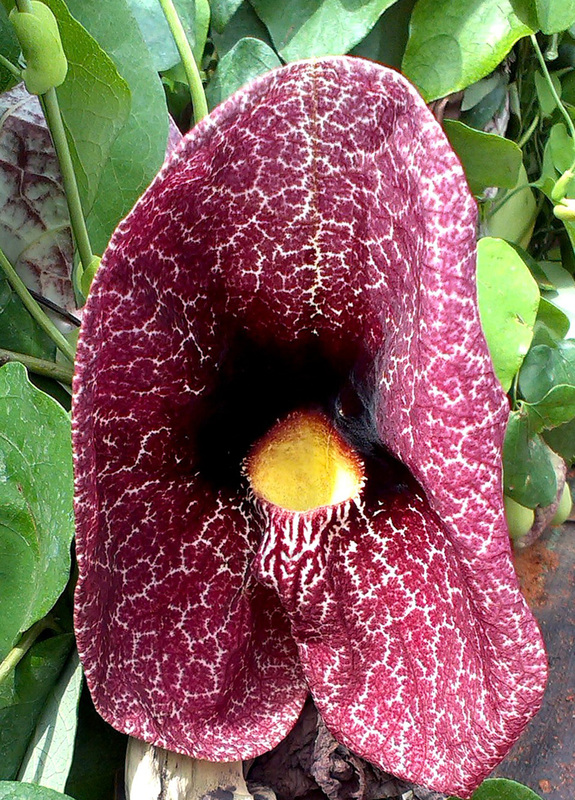 I have seen Dutchman's pipe once, and you are so right about it being weird but wonderful!! I love the colour and patterning of the blossom! Wow, that's a wonderful flower!!! Great photos. OMG this is a beauty!! How did you get this plant? I am fascinated by how the flower looks. Oh I am so envious that you are growing this vine in your garden. It is, isn't it? I am not yet growing this vine; need to plan space, and then grow. 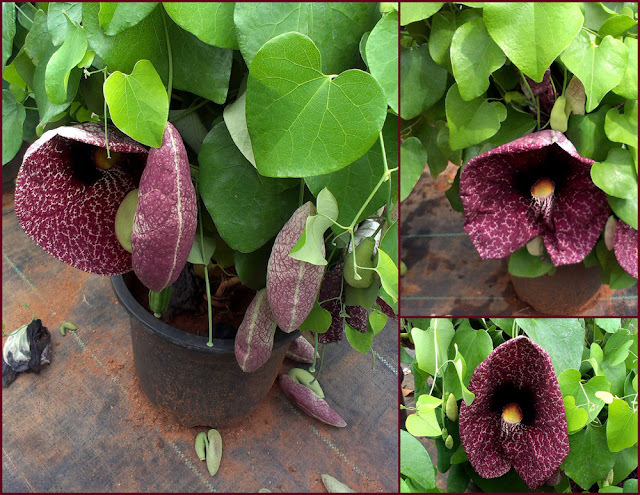 Dutchman's pipe are truly awesome flowers ! Bit scary but wonderful too. I tried to grow them from seed but guess what ! Not one of them came through, despite receiving 5 start treatment !